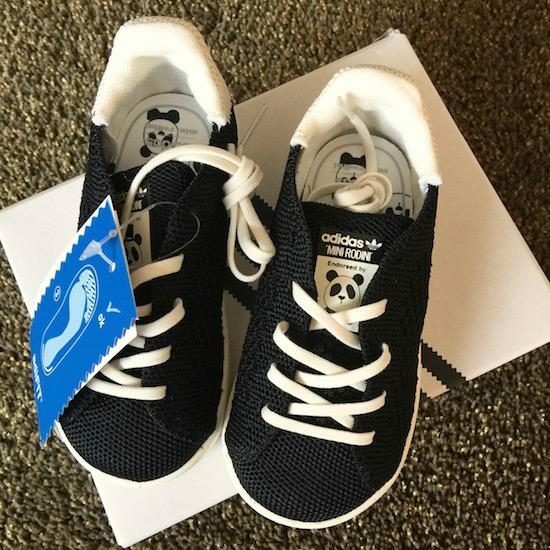 I know that the word “cool” is a bit outdated, but I don’t know how else to describe the collaboration between kids’ brand Mini Rodini and Adidas. 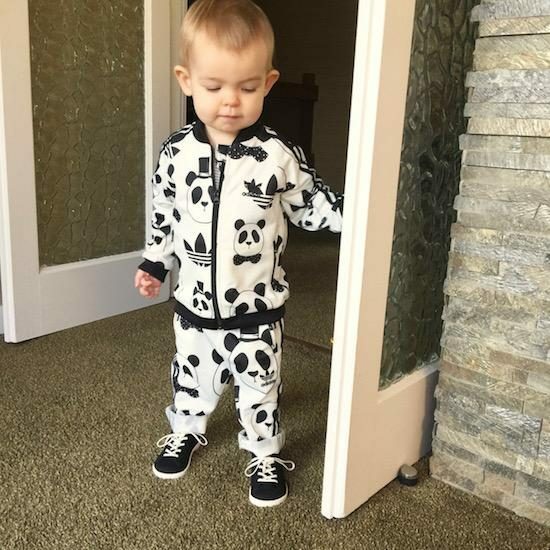 When a top-hatted panda mini-tracksuit arrived on the doorstep, my first thought was: my sister would LOVE this in a full-size version. And my sister is sort of my barometer for all things cool. I have a PO Box in central London and every month it gets cleared out and sent to me in the back of a van – I never know what’s going to be in the postbag, but usually it’s 80% random nail polishes, dog biscuits and homemade beauty products and 20% very intriguing, niche skincare. Always interesting, always fun to pick through – none of it ever expected – but now and then, something lands in there that is so brilliant that I scream with excitement. 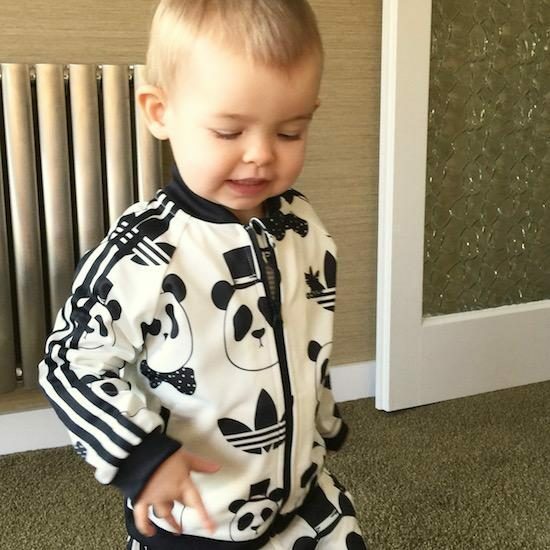 This little tracksuit from the first Mini Rodini x Adidas Originals drop was a “scream with excitement” moment. It’s not something I would ever have picked out myself, not for Angelica, anyway, but it’s just such a collectors’ piece – so striking, so retro, so…cool. Sorry, that word again. But I was a proper Adidas Originals girl when I was in my teens (the striped-arm tracksuit tops were the ultimate badge of conformity where I was from, everyone had one) and I can’t help being a tiny bit in love with this off-beat, cute-but edgy design. 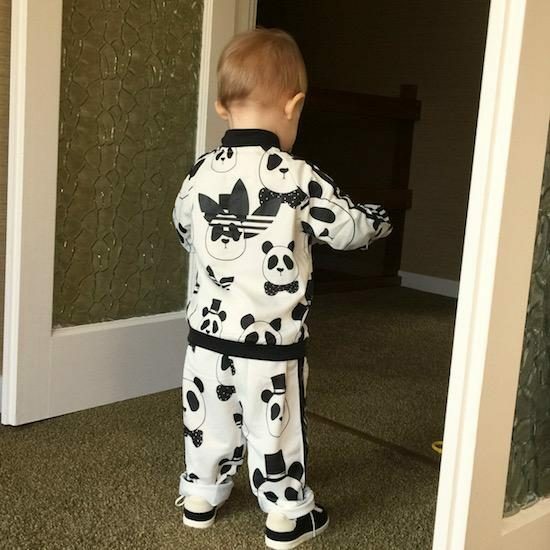 The Adidas-Mini-Rodini collaboration is happening for a whole year and there are going to be a number of limited edition designs released – this one has sold out already, but you can keep an eye out for the future releases here. If you’ve never browsed Mini Rodini before then do, especially if you’re into kids’ clothes that are a little bit different.